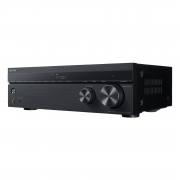 Give your home entertainment system a cinematic upgrade with the Sony STR-DH790 7.2ch AV receiver. Experience the same all-encompassing surround sound you get in movie theatres at home with Dolby Atmos and DTS:X support. 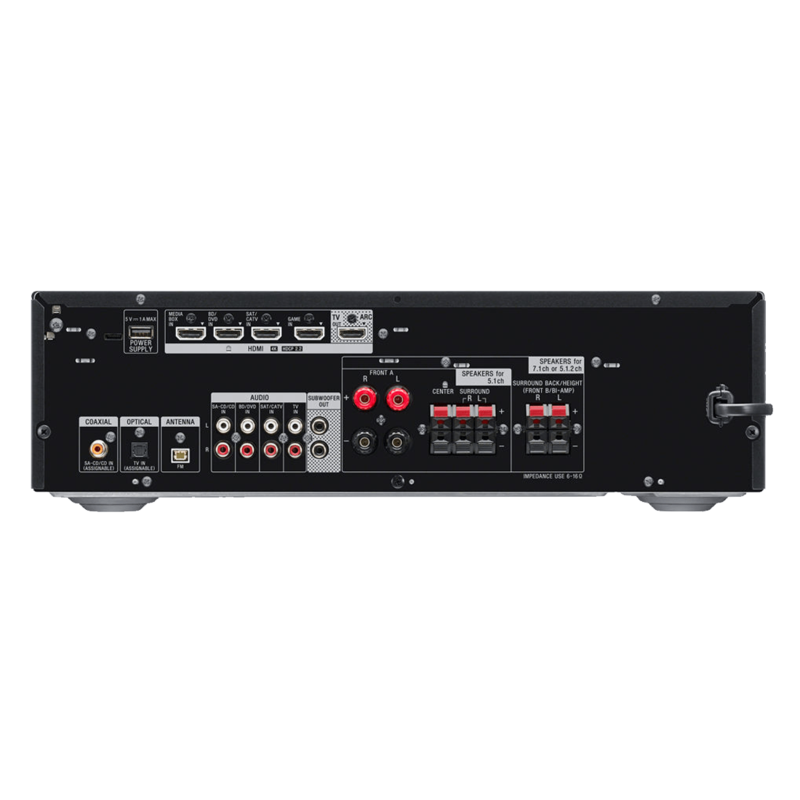 Plus, superior picture quality to match with 4K HDR pass through. 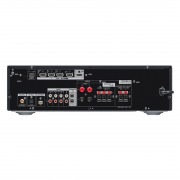 If you’re working with different combinations of speakers, our seamless auto calibration technology will have them all delivering the same high-quality sound. 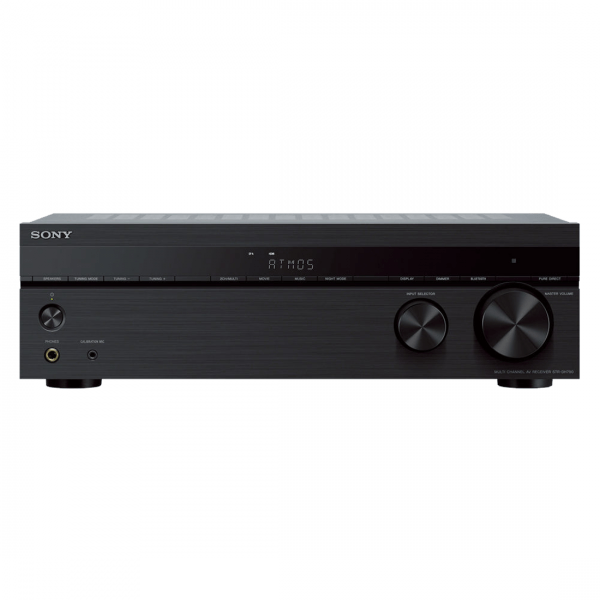 Automatic Phase Matching aligns the phase characteristics of your speakers to the front left and right speaker channels, so they all work perfectly together to deliver a more effective surround sound experience with the Sony STR-DH790. Dolby Atmos delivers breath-taking realism with 360º surround sound, by accurately positioning sound from every angle in your environment – even from above. 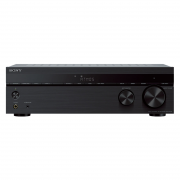 The result is rich audio that completely envelops you with the Sony STR-DH790. 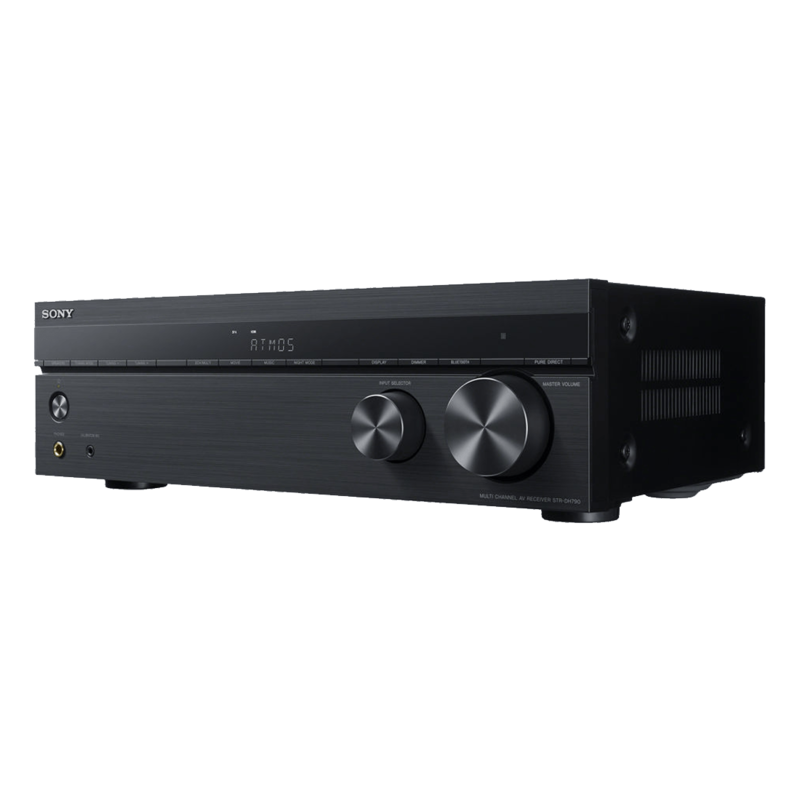 Put yourself at the heart of the action with an immersive 5.1.2 channel surround speaker system with the Sony STR-DH790, delivering lifelike audio from every angle—even above. By supporting High Dynamic Range (HDR) signal pass-through, you can enjoy the incredible jump in contrast and brightness it brings—and the additional shadow detail and highlights further enhance picture detail and brings colour to life. Latest HDR standards such as HDR10, HLG (Hybrid Log-Gamma) and Dolby® Vision are supported.